WOW!!!! 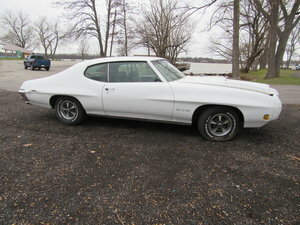 A 1 of 114 documented 1970 Pontiac GTO Convertible Ram Air III that is numbers matching YZ engine, loaded with features, is in great shape, and runs as good as it looks!!! It just came to us from Arizona and before that it lived in Texas so you know it has a body and frame that are in great shape with almost all its original sheet metal and floors. 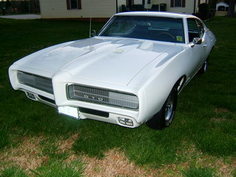 It comes with lots of options like Air Conditioning, Power Steering, Automatic Transmission, Power Brakes with front disc, Hood Tach, Cruise Control, Tilt Steering Wheel, Rally Gauge Cluster, Positrac 3.23 rear, and AM FM radio all wrapped in the original color of Polar white with Sandalwood interior. It is clean inside and out, mechanically sound with a rebuilt engine, and drives like a dream. This car has the original build sheet, reciepts for work done, and PHS documentation.